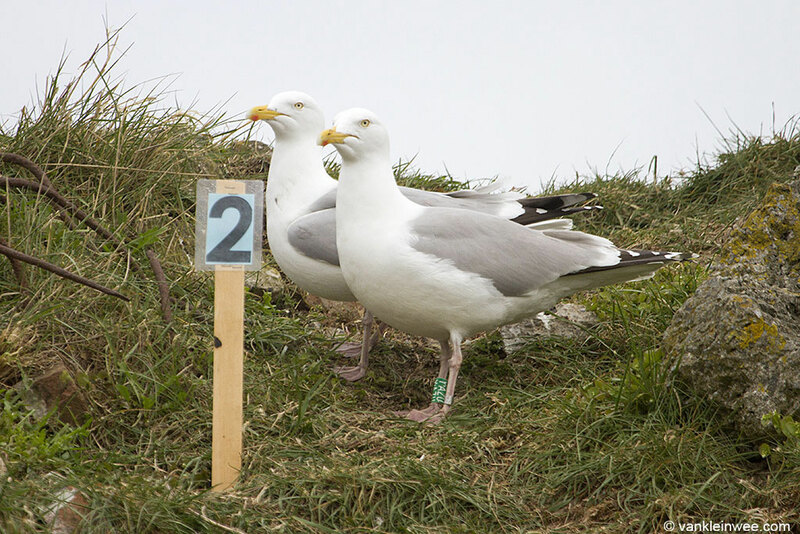 Today was our final day of the breeding season 2018 in the gull colony of IJmuiden Forteiland, the Netherlands. 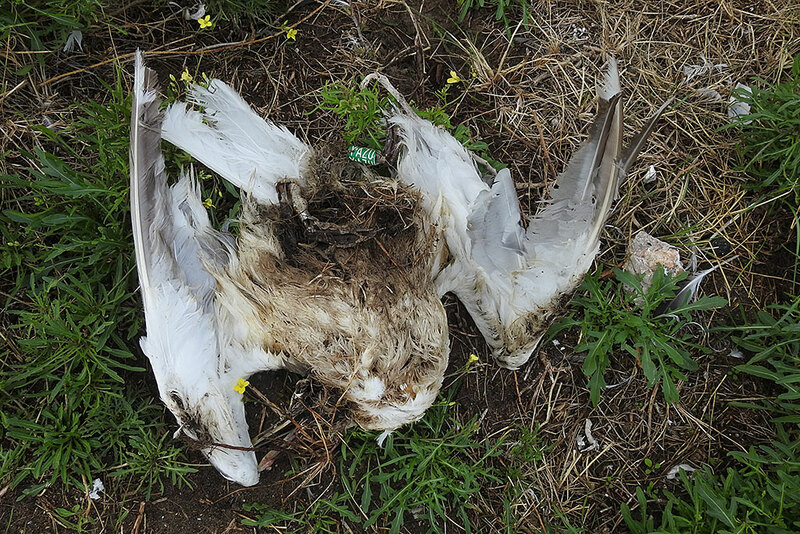 Our field work had already stopped on July 23rd, but today we returned to check the now empty colony for any dead birds that are fitted with one of our rings. 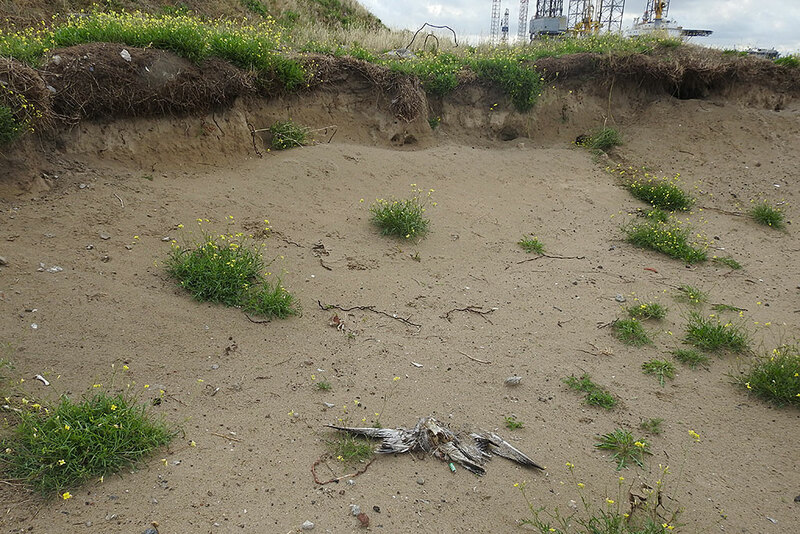 The good news is that we found relatively few dead gulls, certainly no more than previous years even though we suffered from a long heat wave some weeks ago which certainly killed many young. In the end we found 3 juveniles that were fitted with a colour ring, 2 that were fitted with only a metal ring, and 1 adult with a colour ring. 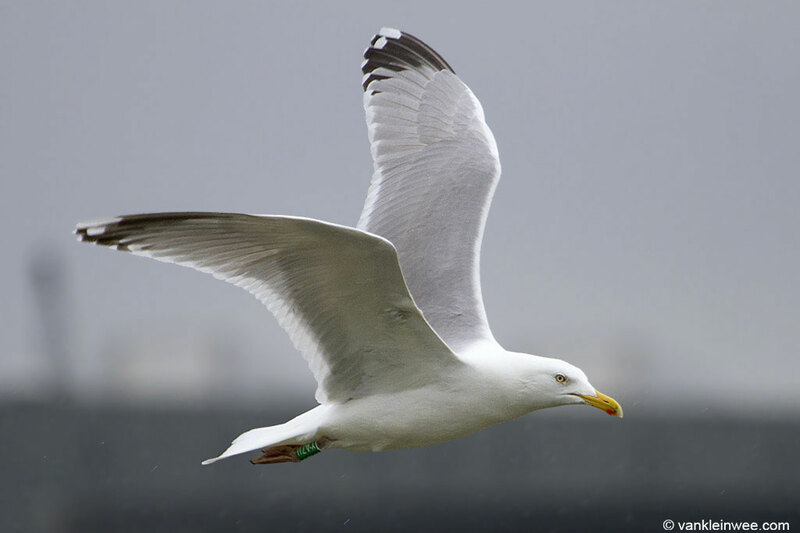 Even though it is sad to loose these ringed gulls, it is good to know what happened to them. There was not much left of YCTJ. 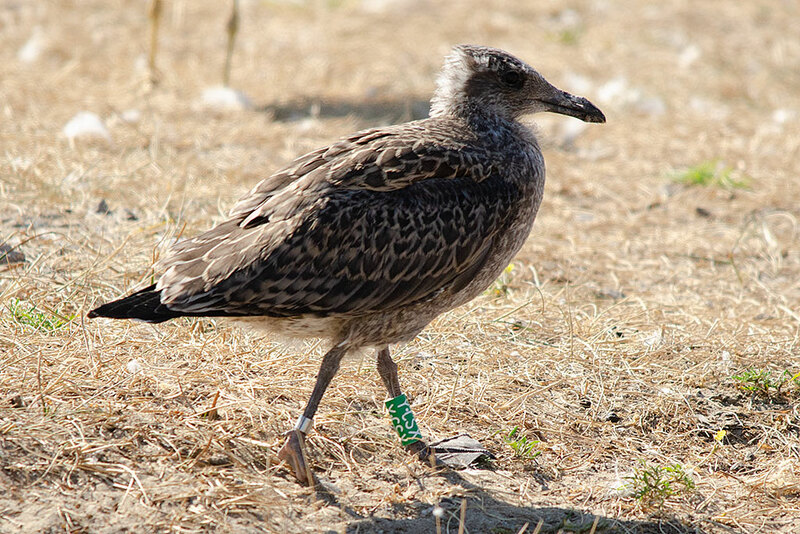 It was ringed as fledgling in July 2018. YCSX was found close to where it was born. 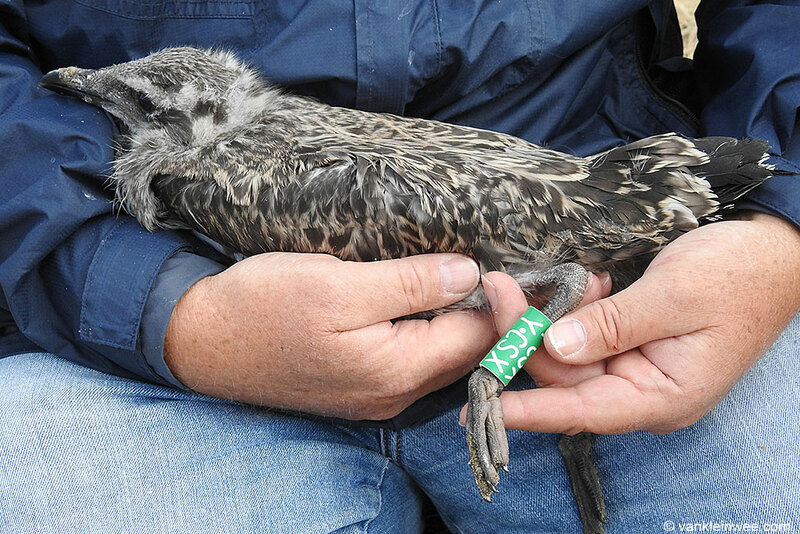 It was ringed as a fledgling in July 2018 and seen several times afterwards. 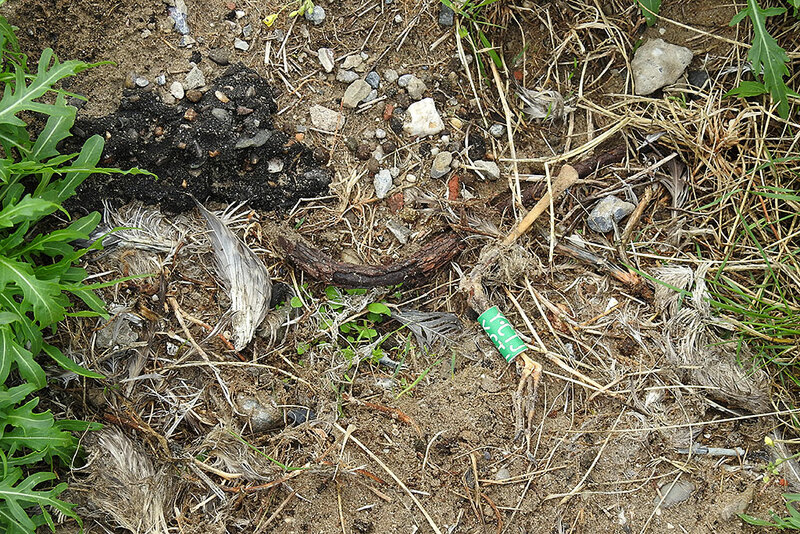 I was quite saddened yesterday when I observed YCRM from afar when it was lying dead in the colony presumably after it had recently been killed. It lay there with an open belly from which another juvenile was eating. 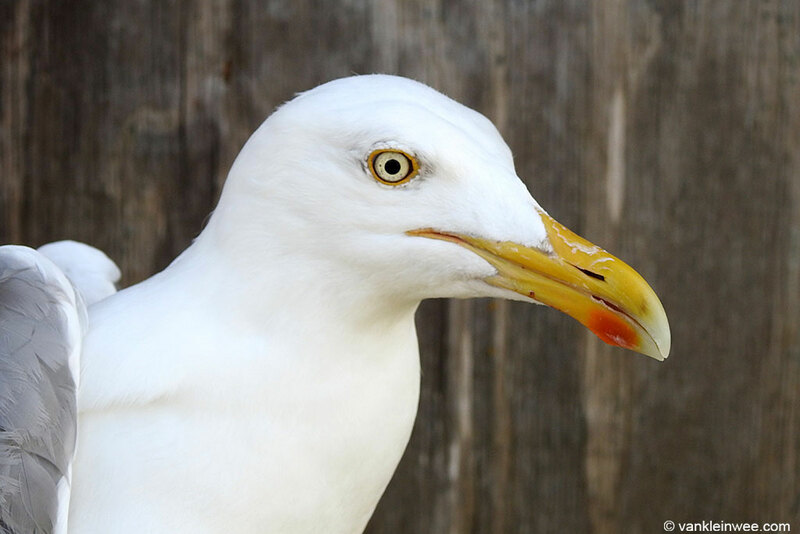 Such is life in a gull colony. When we returned to the spot today we couldn’t find it, but we later came across it some 100 meters inside the colony. 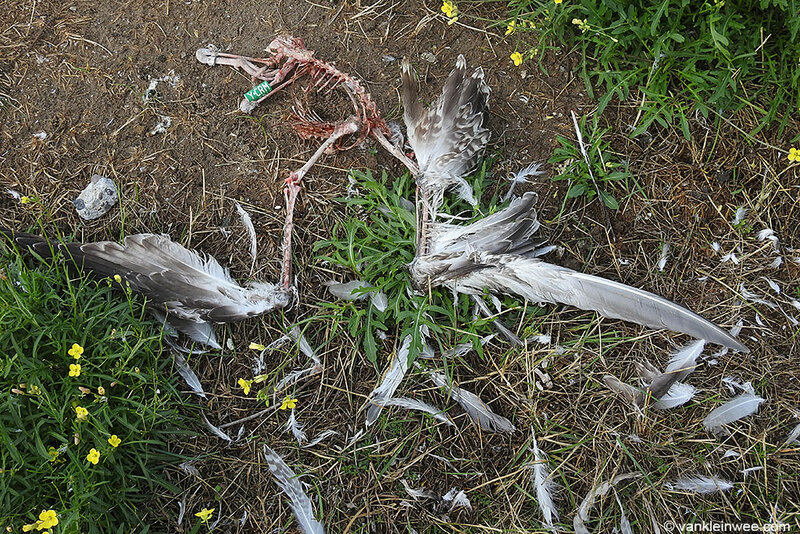 It had been moved and cleanly eaten, maybe by one of the Buzzards that frequent the island [edit: rats are a more likely option]. At least someone had a good meal. It is a shame though that it had to happen to YCRM. 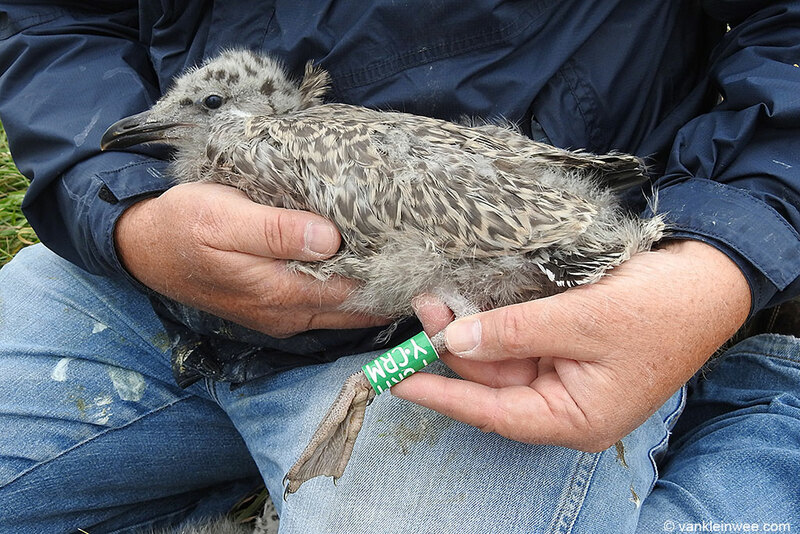 We also ringed its sibling as YCRN, and its mother is well known to us: YBAU which we have observed many times, including during our trips to France. 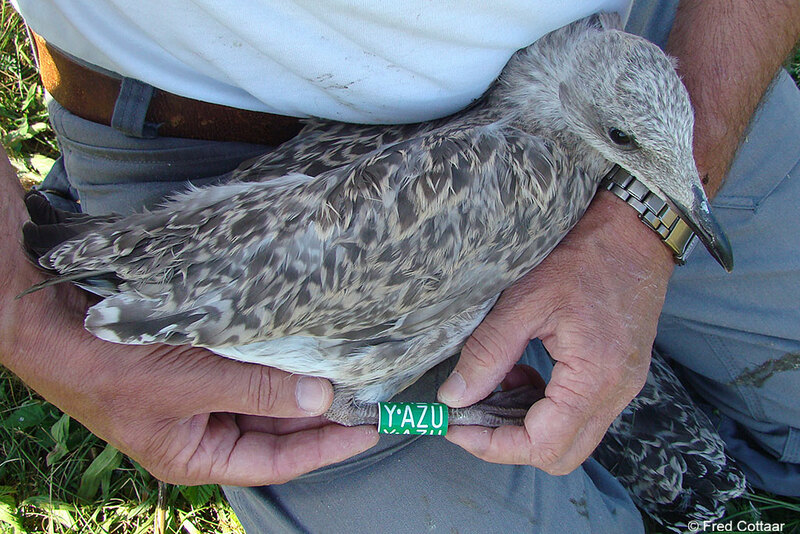 Finding a ringed adult is never a pleasant experience, and this was especially true of YAZU today. 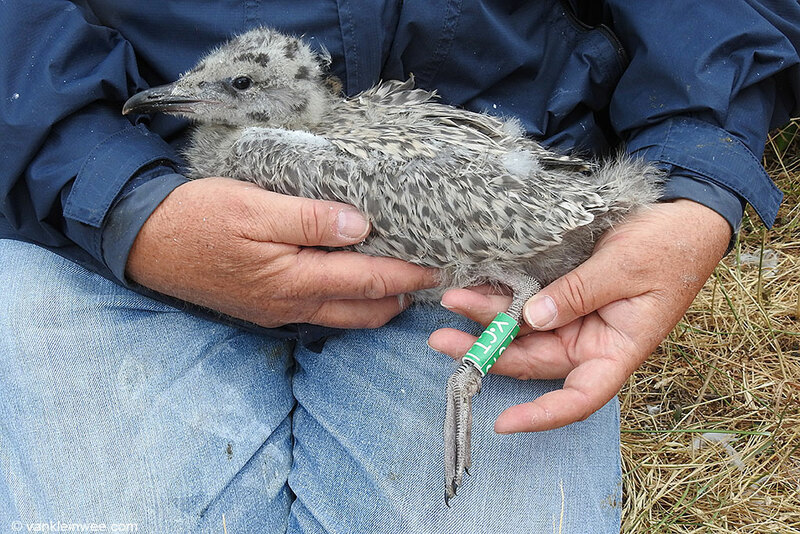 Even though it is a relatively young gull (7 years), he has given us a lot of data. 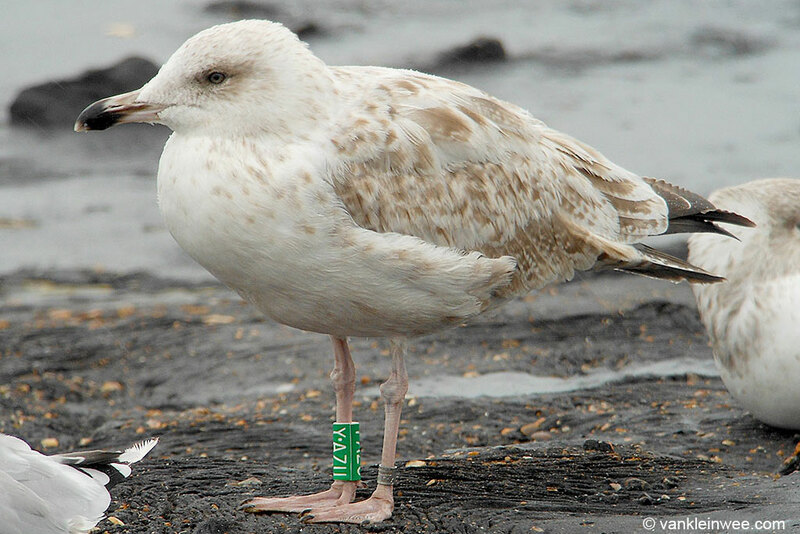 He was born in the colony in 2011 and I think he is one of my first IJmuiden ringed birds that I came across when I first started looking at gulls. 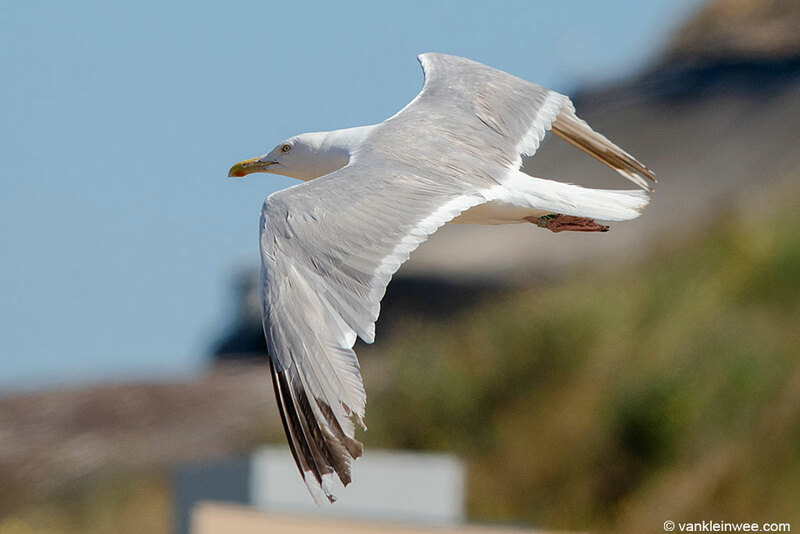 I saw him as a second-calendar year in Westkapelle, the Netherlands, most likely when it was on its way to France.